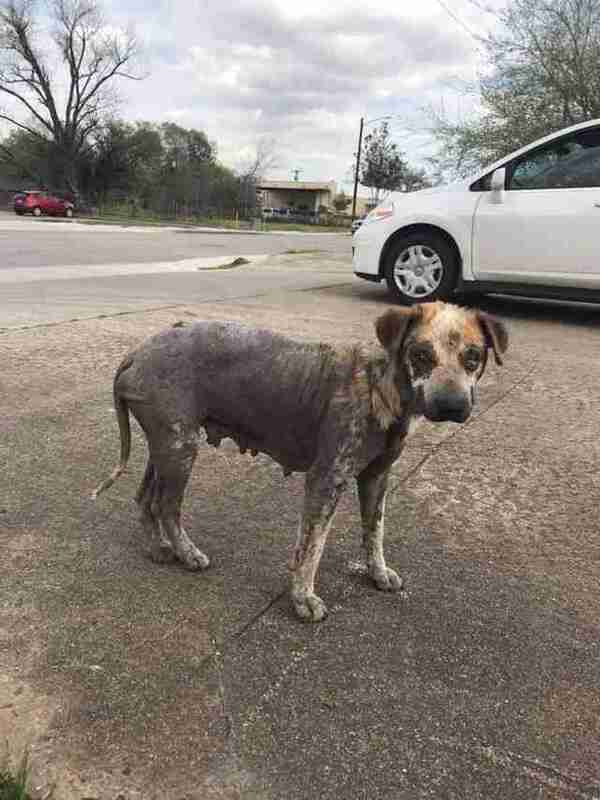 It was September 2017 when Shana Breeden first heard about a sick, nearly hairless dog hanging around a convenience store in Houston, Texas. When she’d finished work for the day, she drove to the store, hoping to catch the dog in the humane trap she kept inside her car. Breeden spent more than an hour trying to catch the dog, but the dog kept running away. 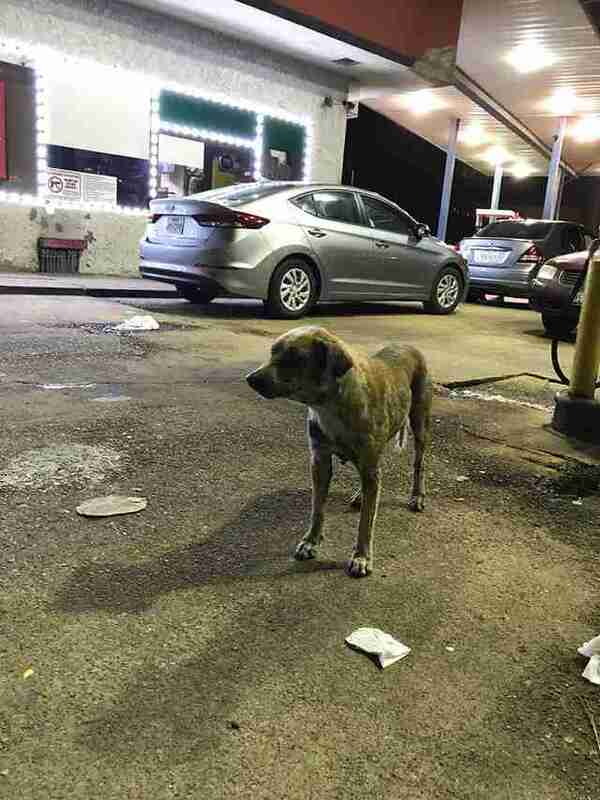 Breeden eventually went home for the night, but returned to the area as soon as she could — but she couldn’t find the dog again. Breeden wrote posts about the dog, who was later named Amethyst, on Facebook, Nextdoor and other social media sites. She and other volunteers also knocked on doors in the area, asking if anyone had seen her. Some people had seen her, but every time Breeden went to search for her at different locations, she never found her. Breeden started to worry that Amethyst had passed away. In March, five months after Breeden first spotted Amethyst, she finally got a lead from a man who’d seen her post on Nextdoor. 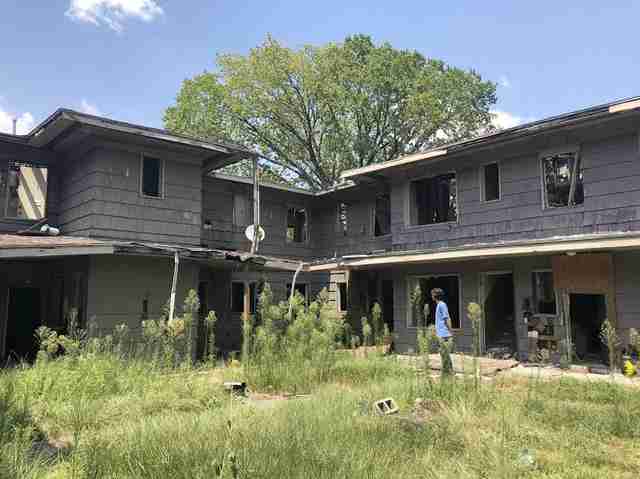 The man explained that Amethyst was living in an abandoned apartment complex in an unsafe part of the city. But Breeden didn’t think twice about going — as soon as she had the address, she hurried over there. 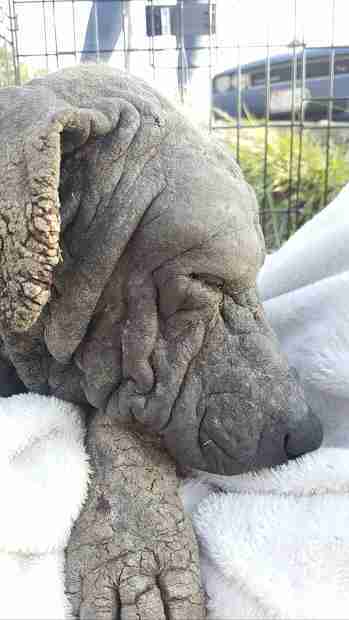 Amethyst seemed to be missing all of her fur now, and her eyes were infected and swollen. Once again, Breeden tried to lure her into a trap, but Amethyst kept running away. Breeden decided to enlist the help of professional trappers. But once again, Amethyst disappeared — and neither Breeden nor anyone else knew where to find her. 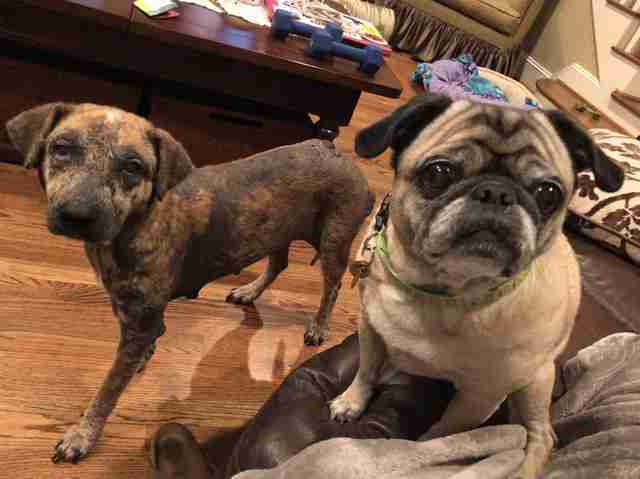 Amethyst may have gone missing, but her story circulated on Facebook and found its way to Heather Lowery, another independent dog rescuer in Houston. 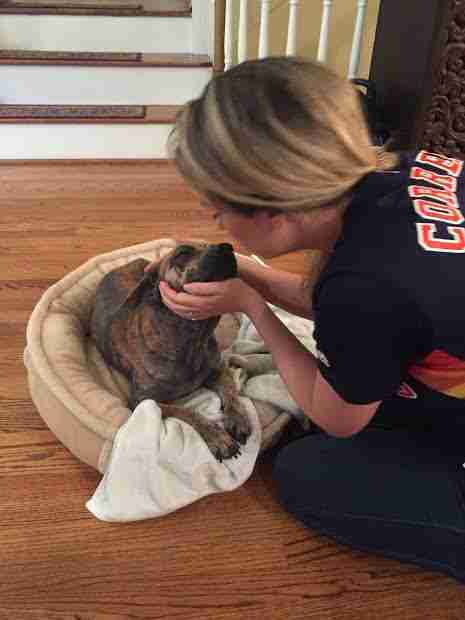 “It pulled on my heartstrings, and without much thought, I said, ‘I’ll foster this dog,’” Lowery said. Amethyst. This time, they got lucky. But the group decided to take matters into their own hands. 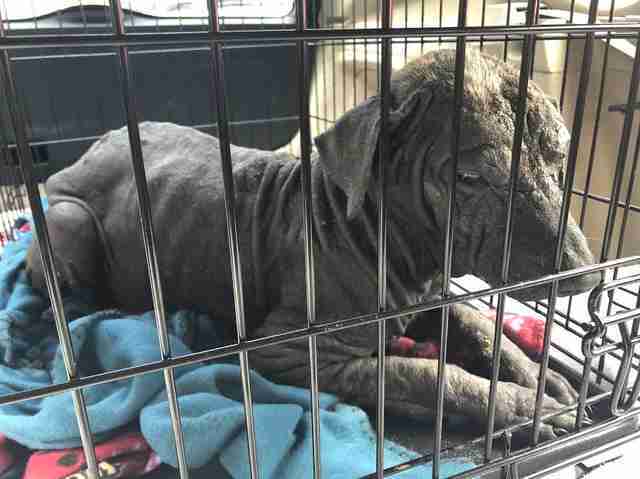 “We had a kennel, and I guess you could say with a lot of effort and a little bit of luck, we ended up catching her that day,” said Lowery, who added that the whole process took about five hours. 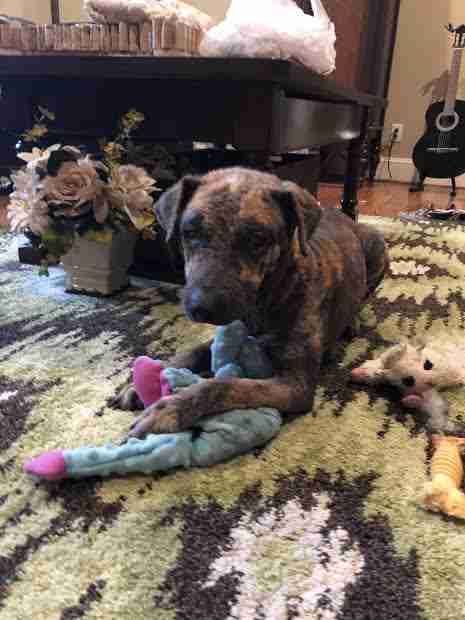 Amethyst went straight to Vergi 24/7, an emergency vet clinic in the Houston area. 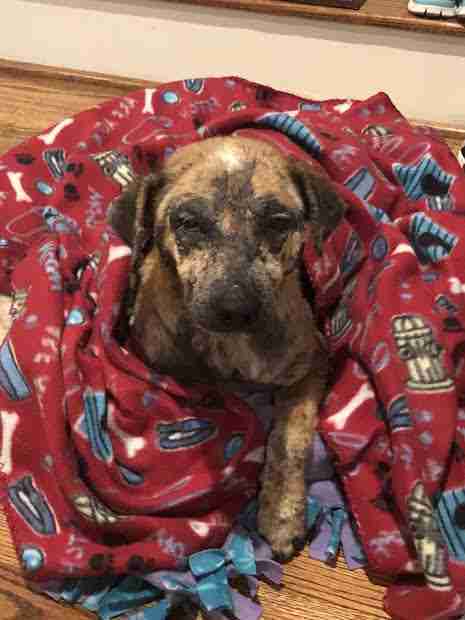 The poor dog had a laundry list of medical issues — malnourishment, anemia, eye infections, heartworm disease, tapeworms and hookworms. 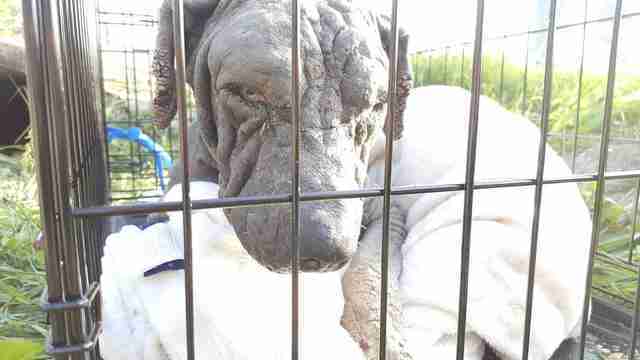 She also had scabies and both sarcoptic mange and demodex mange, which had caused her to lose all of her fur. 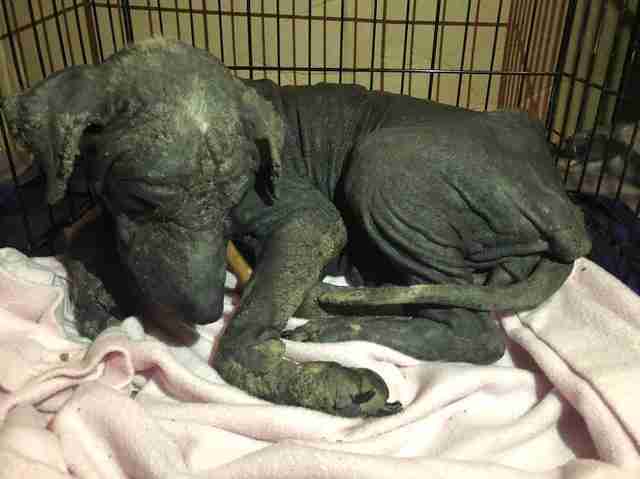 Thankfully, Houston K-911 Rescue volunteered to take Amethyst into its care, paying for most of her treatments. When Amethyst was well enough to leave the clinic, she went home with Lowery. 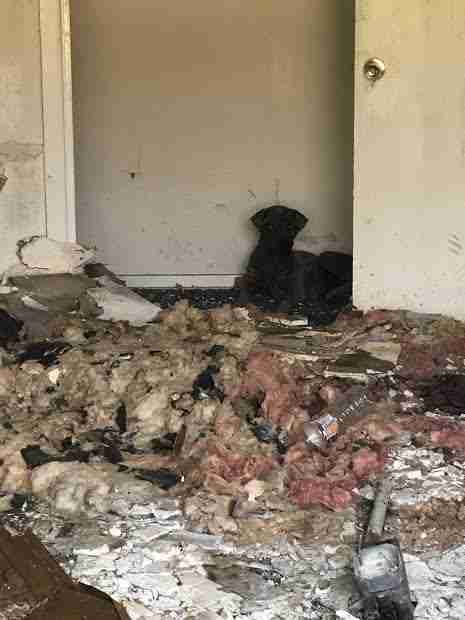 “For the first month, she had her tail tucked so tightly under herself that you couldn’t even see that she had a tail — that just shows you how scared she was,” Lowery said. But little by little, Amethyst emerged from her shell. Amethyst’s hair started to grow in, too. Initially, it was a little white “mohawk” that appeared on the top of her head. Then she started sprouting orange fur all over her body. After evading rescue for nearly a year, Amethyst now adores love and attention from people — and she’s formed a very close bond with Lowery. Breeden couldn’t be happier with how everything turned out. 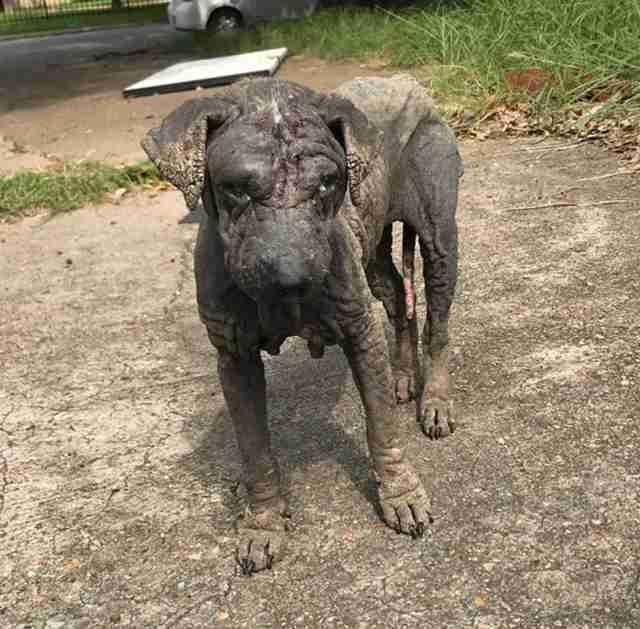 To help rescue more dogs like Amethyst, you can make a donation to Houston K-911 Rescue.